We know a thing or two about weaving. We've been doing it here in Australia since 1954. 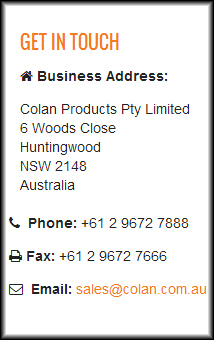 Colan began its business as a weaving house in Western Sydney in 1954. It's 2017 and we're still a weaving house and we're still based in Western Sydney. Our weaving quality is second to none. Our fabrics are woven with state of the art machinery made by leading loom manufacturers in Germany. Use the tabs on the left to learn more about the different weaves available.